Fly Fishing Venezuela is normally synonymous with Los Roques as it is rightly of the most famous destination for bonefish in the world. 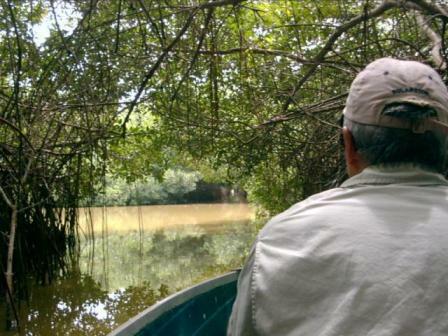 Rio Chico is in another national Park in Venezuela right on the northern coast a good deal west of Caracas, It is a tarpon destination with thousands, maybe hundreds of thousands of 5-50 pound tarpon that are aggressive and acrobatic. 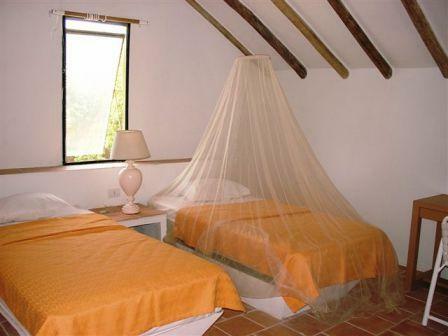 The Rio Chico Lodge will be your home and it is the only facility actually in Laguna de Tacarigua National Park so you will be very close to the fishing. Usually we travel no more than 10 minutes from the lodge. Your vacation begins when you are met by our staff at the Caracas Airport which is actually over an hour away from Caracas and quite safe. Will will stay at the one of the hotels part way to Rio Chico in preparation for the early morning drive to Laguna de Tacarigua National Park . 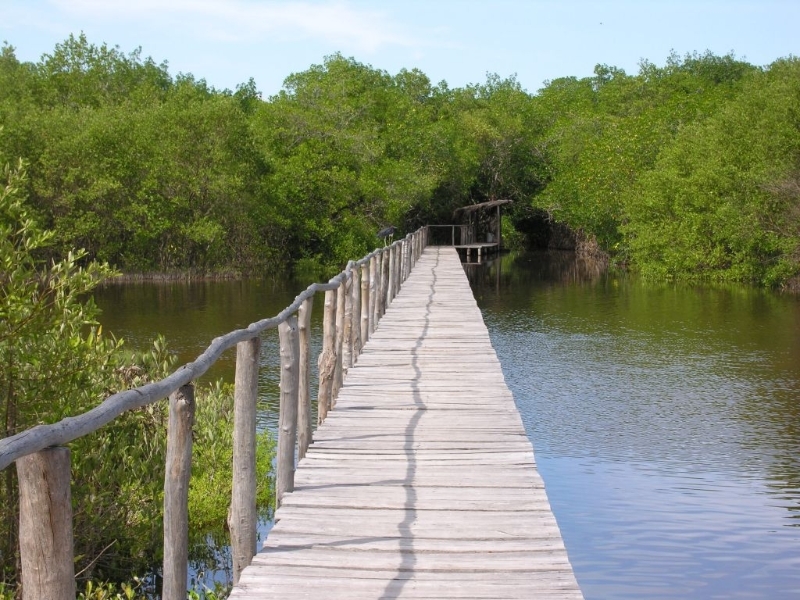 After a 2hour drive you will arrive in the park and at the lodge, on the edge of the best baby tarpon fishery in Venezuela, maybe the world! 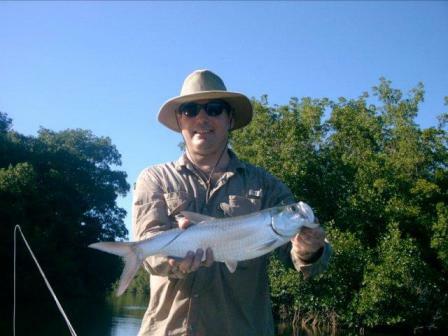 The guides are ready to go when you are and the tarpon are just minutes away. 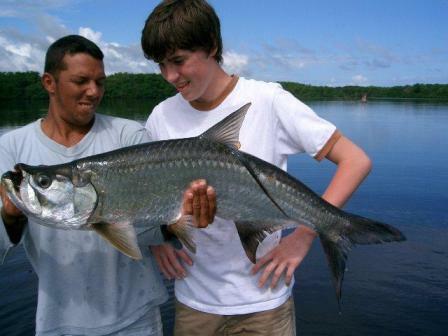 There are hundreds of lagoons, creeks and inland lakes where the guides will find hundreds of tarpon, sometime in large schools, sometimes in singles or doubles. 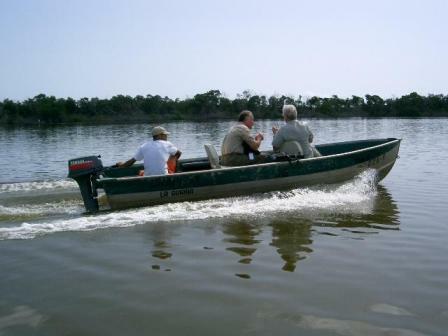 We use new 16 foot skiffs to get to and from the fishing. 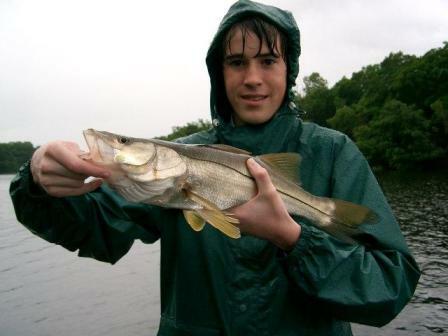 Tarpon and snook are the main quarry here and the sizes range from just a few pounds to 50 or more pounds. 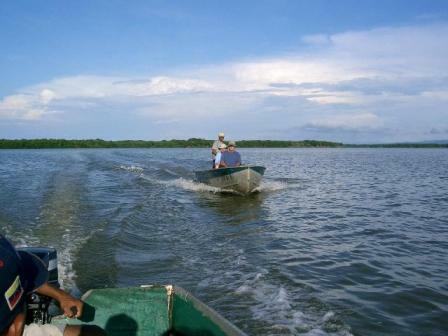 This area as not been fished much and is in pristine condition, be one of the first to experience this area of Venezuela. 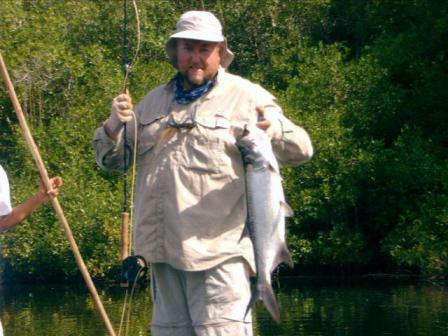 Fly fishing Venezuela – Fly Fishing Heaven style! Our lodge is actually a small hotel that we rent while we have fishermen on board. 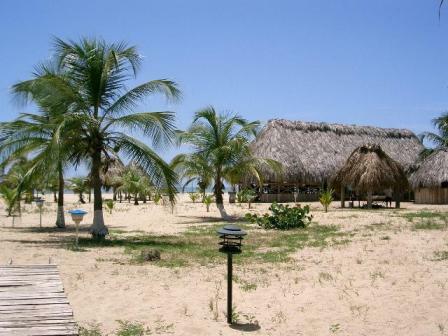 It is the only place to stay while you are in Parque Nacional la Laguna de Tacarigua. 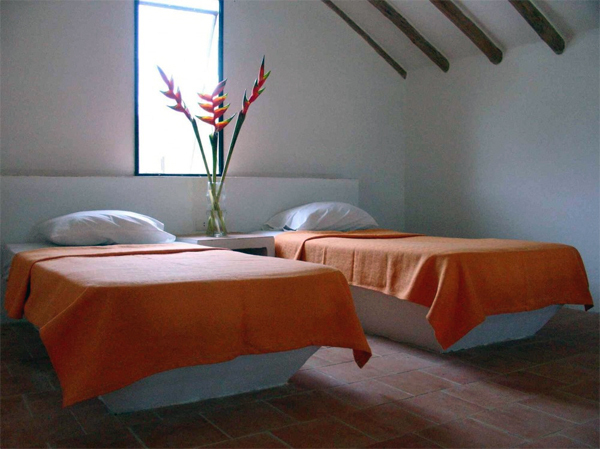 They provide all the meals and lodging for us during your stay at Rio Chico. 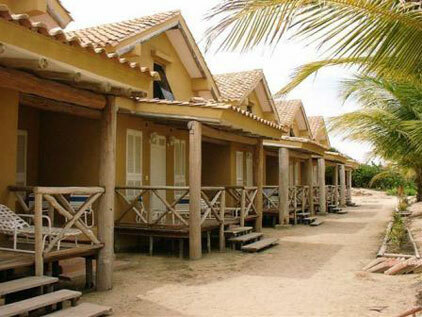 It has 9 villa rooms with doubles, king or single beds. 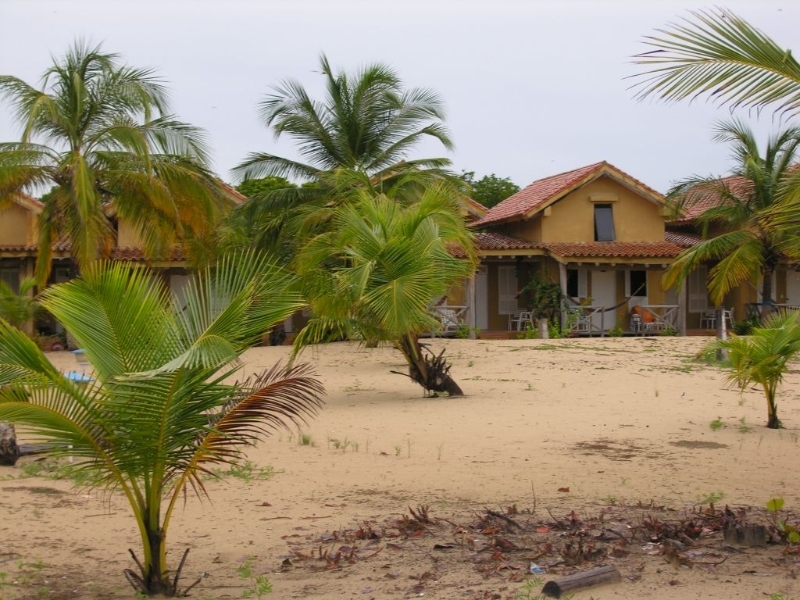 See more photos of the lodge after you close this overlay window and find the links to the right.The lodge has access to miles of undisturbed beach front. 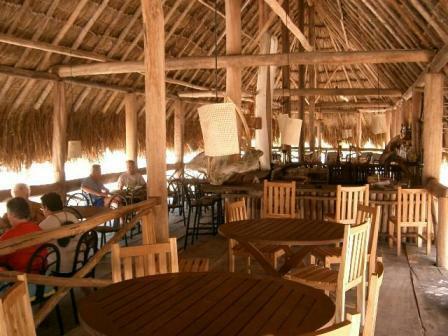 The food is prepared and served outdoors the great Palapa, A thatched roof open air dining pavilion with a great view of the ocean. Happy hour is complementary until 7pm and the bar is also part of the large covered area. Of course there is a lot of seafood as well as a daily selection of non seafood items. It is an international collection of foods and recipes. Breakfast is early and the fishing is so close we usually return fro lunch a siesta and then back out until dark for the evening bite. 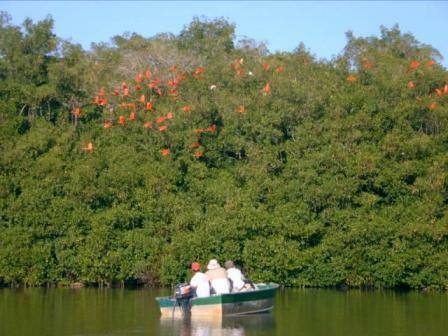 The park is famous for the vast array of birds and wildlife from the locally nesting scarlet ibis, flamingos, crocs, sea turtles and hundreds of others critters. 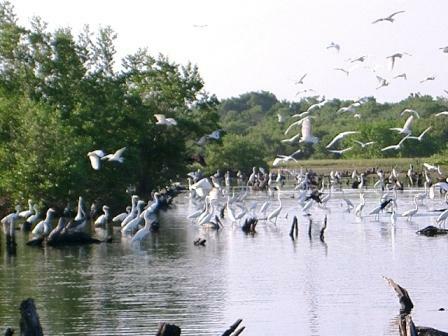 Few people have ever been to this area of the world and we encourage you to visit. 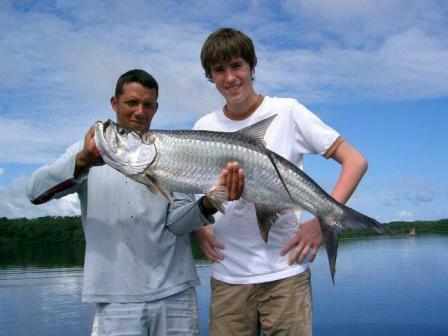 The tarpon are hungry, stupid and living in Venezuela – aka Fly Fishing Heaven! 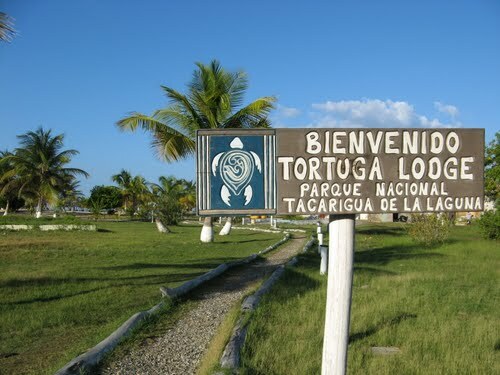 Los Roques Fishing is legendary. 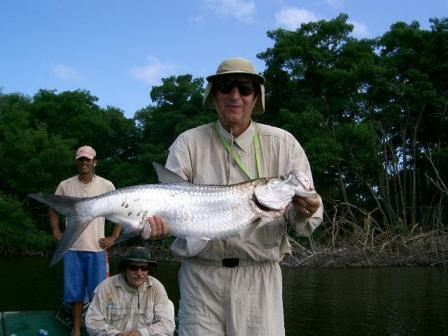 Rio Chico fishing is unheard of but it has some of the densest population of baby tarpon on the planet. 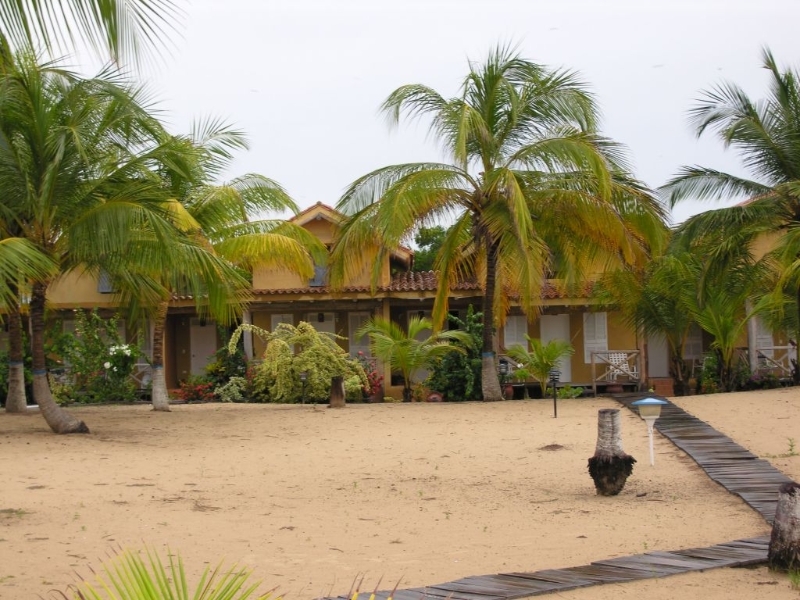 You can combine trips to Rio Chico and Los Roques fish 3 days in each spot or 1 week there, 3 days there, We can customize it for you. 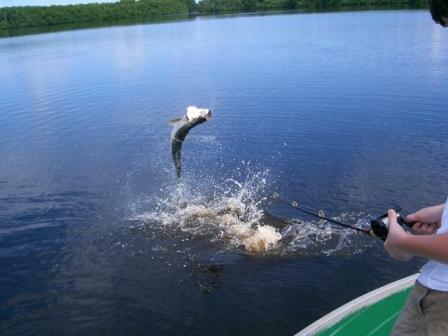 The tarpon and snook will b found in the countless lagoons and lakes of the national park. 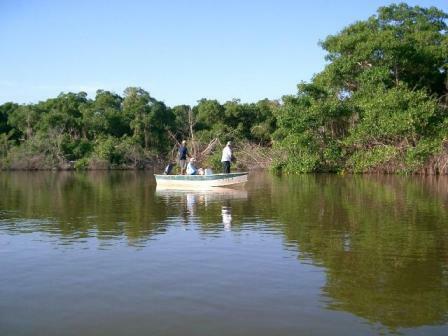 Most of them will be found right in the mangrove line so there is a lot of accurate casting or in some cases a lot retrieving flies form the mangroves! 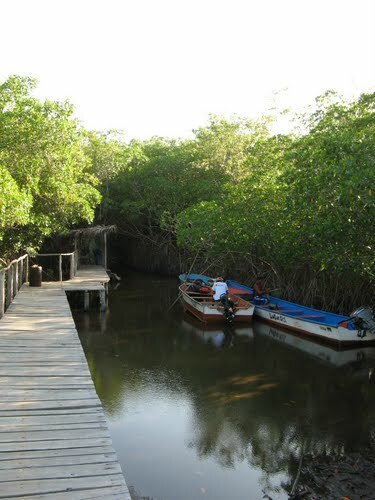 It is fun to try to hit that hole in the mangroves or skip it under the overhanging branches. 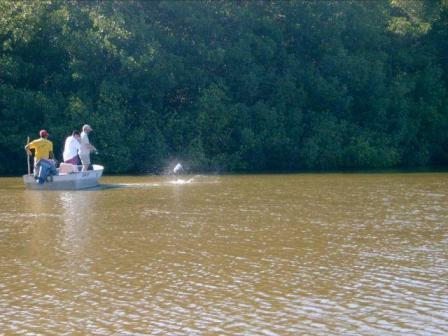 Sometimes you will see the fish, or see a rolling fish and other times it just looks like there should be a tarpon in there. Expect lots of blind casting into these areas. 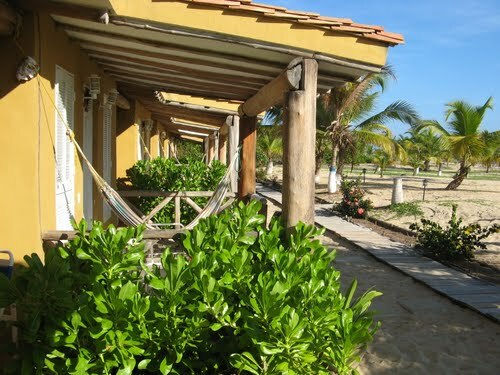 Bonefish more present at our sister lodge on Los Roques so you will not find them here at Rio Chico. 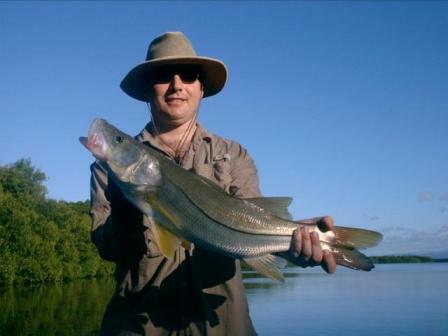 The only reason to visit is the outstanding baby tarpon and snook fishing. – Meeting byour representative at Int. Airport Caracas ( English speaking guide). 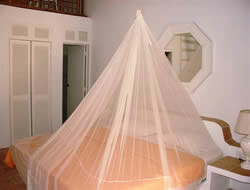 – First and last overnights double occupancy rooms at Tamanaco Hotel. 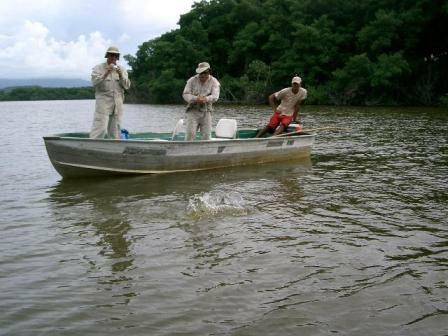 – Boat, guide (two anglers per boat). – International flights. – Fishing gear. 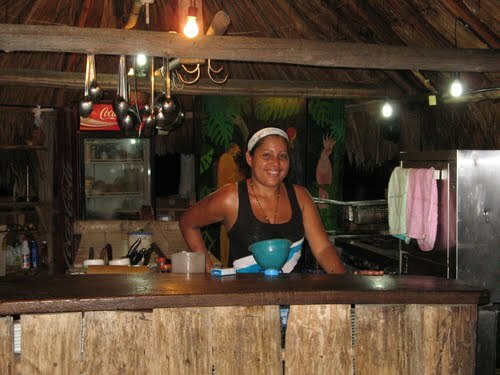 – Meals and drinks at the Tamanaco Hotel – Airport taxes. 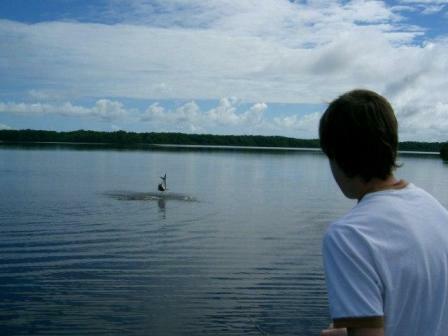 – Fishing licenses. 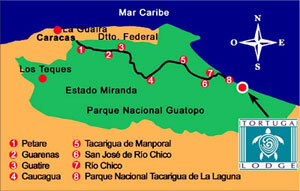 – National Park entrance fee. – Tips. It is pretty windy in January so hence the bad marks below! 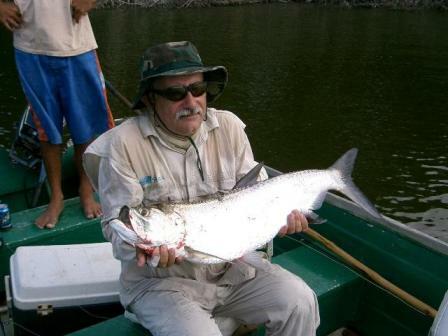 Please take a look at the photo and video galleries related to fly fishing Venezuela – Rio Chico Tarpon Lodge. 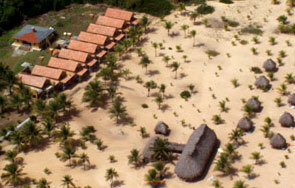 There is a bit of eco tourism as well as the beach but it is not very developed. 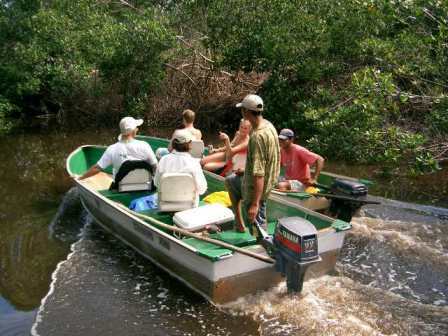 For this reason it is not high on our list for non fishing members of your group so be careful to makes sure your non fishing members will enjoy this trip. 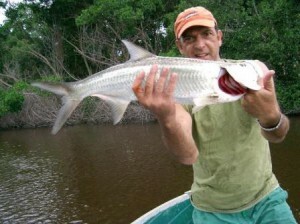 We have several other tarpon destinations that are suitable for non fishers as well. 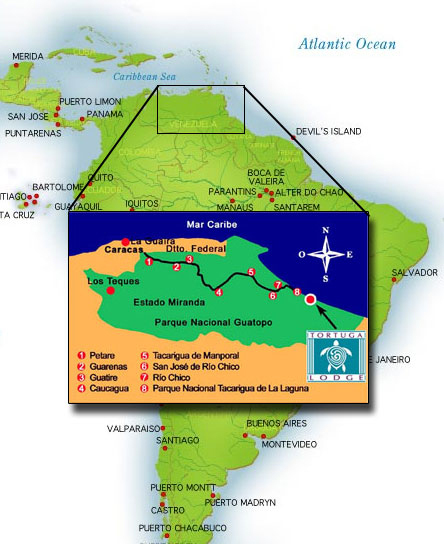 Rio Chico is in one of Venezuela’s national parks, Parque Nacional La Laguna de Tacarigua, accessible by van from The Caracas International Airport which is a 3 hour 20 minute flight from Miami but it will seems worlds away. Most major airlines will service El Aeropuerto Internacional de Maiquetía, Airport Code CCS. A valid passport and a visa or tourist card are required. 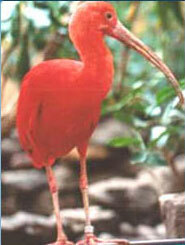 Tourist cards are issued on flights from the U.S. to Venezuela for persons staying less than ninety days. Visit the Embassy of Venezuela website for the most current visa information. Venezuelan immigration authorities require that U.S. passports have at least six months validity remaining from the date of arrival in Venezuela. Some U.S. citizens have been turned back to the United States because their passports were to expire in less than six months.